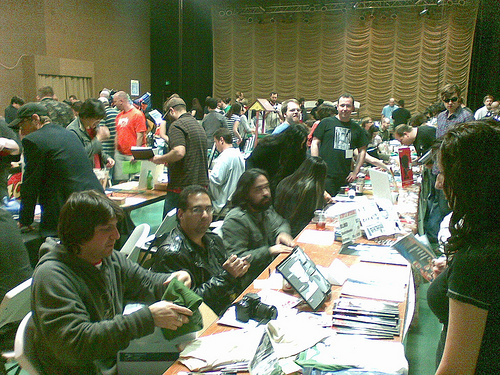 Yesterday I did something I haven’t done since right around the time Superman died: I went to a comic book convention. Unlike in previous occasions, this time I did not wear my Spider-Man tighties. 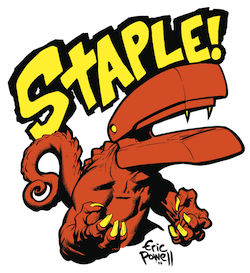 Not because I don’t look good in them anymore, but because Staple! is an event for independent media (read: not Marvel nor DC Comics nor any of the other big boys). Some cool stuff there. Lots of comics I’ve never heard of before and lots of local talent. Similar to videogames, I never stopped liking comic books. I simply all but stopped reading them because I don’t have the time, or because I’d rather do other things with my time (like work). Maybe I should win the lottery so I can spend more time reading comic books again.